With the recent snow cover, wildlife that is hard to see in warmer months suddenly becomes easier to spot. 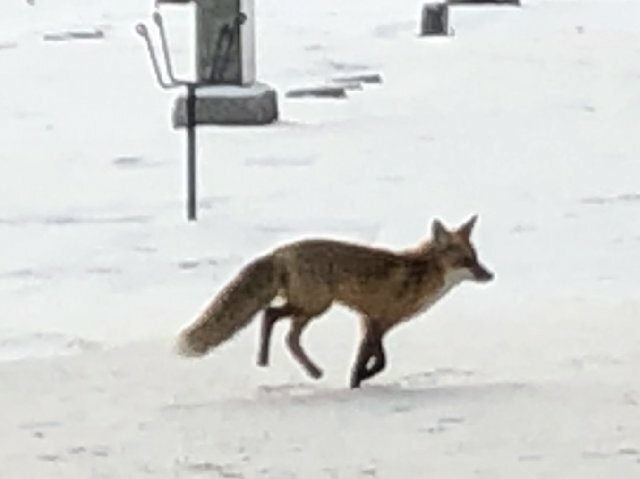 That’s the case with the fox that’s become a regular sight at Calvary. “I see him a lot lately,” says Calvary Caretaker Terry Miller. This picture was taken last week before the weekend snowmelt.